Avid skiers listen up – the Google Maps team has just launched a load more ski-related data to help you find your way around 38 ski resorts across the US and Canada, ensuring you’ll never again get lost on the slopes. “Whether you’re shredding Squaw Valley, Big Sky, or Okemo, Google Maps are a comprehensive, accurate and easy way to find the best route down the hill,” Google Maps’ Ryan Poscharsky wrote in a blog post announcing the new maps. Viewable via Google’s iOS and Android Maps app, as well as on the Web, the new maps show blue, green and black runs as solid colored lines and ski lifts as red dotted lines. “We hope you’ll use these maps to discover new trails and find your way around the mountain more quickly and easily,” Poscharsky wrote, at the same time promising the addition of more ski resort maps in the not-too-distant future. A full list of the mapped resorts can be found in Poscharsky’s post here. 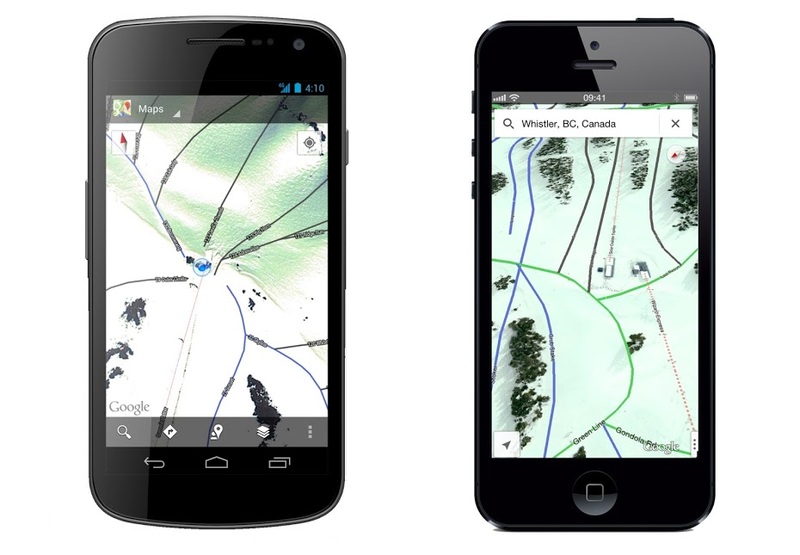 The new maps will complement the Street View imagery of ski resorts added to Maps last November. Ideal for anyone planning a ski vacation, or even those who prefer to stay home and ski from the comfort of their sofa (is that even possible? ), the Street View images come courtesy not of one of Google’s famous camera-equipped cars (obviously), but of a specially kitted out snowmobile. The Mountain View company has, over the years, invested heavily in its mapping service in its apparent quest to cover every square meter of the planet – including the wet bits. The Web giant surprised many recently by rolling out new maps for North Korea, one of the most secretive nations in the world. And just the other day it added more than 9,500 panoramic images of the Grand Canyon to its Street View service.